A home security system is a feature that would attract tenants to an Allen rental home. For the security-conscious renter, a residence complete with cameras or alarms can offer a peace of mind that other rental homes don’t. At the same time, however, a home security system isn’t free from some drawbacks. Before making the decision to install security cameras, it’s necessary to think about the pros and cons involved. One of the greatest advantages of having security cameras is the added sense of security that it gives to your rental property, tenants, and their belongings. There are plenty of security systems currently available, many of which integrate cameras along with alarms and professional monitoring. Particularly in areas where crime rates are high or vandalism is a problem, security cameras can act as both a deterrent as well as provide critical evidence in the event of a crime. In locations like these, putting up security cameras might be worthwhile. The value it brings would outweigh the cost because it allows you to confidently increase the rent to offset the cost. One of the most common drawbacks in placing security cameras in a rental home is the initial cost of doing so. 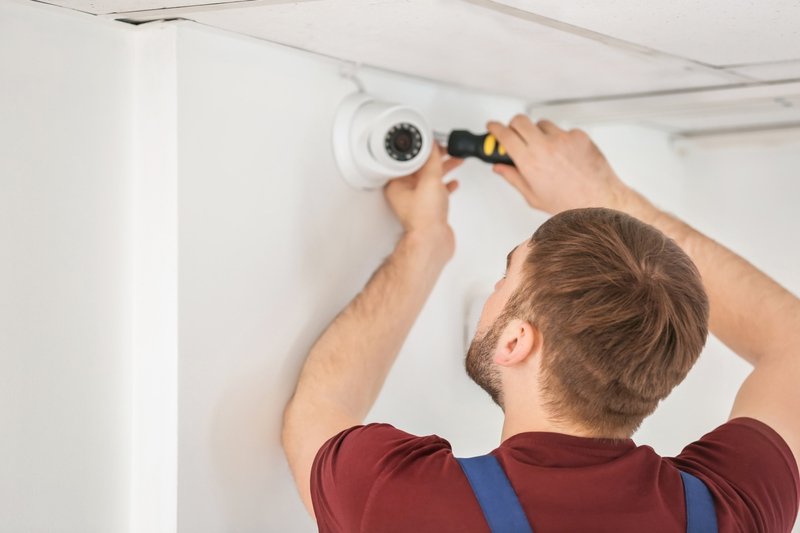 Security cameras can be a bit pricey, and unless you’re certain that your rental home’s circumstances can earn back the investment cost, you might end up losing money instead. However, with the recent improvements in home security systems, we now have access to smaller and affordable devices that give us the benefits of a full-fledged security camera system without the extra cost and professional installation. Instead of doing the work of installing security cameras yourself, you may leave it up to your tenants to invest in those devices themselves. It is crucial that you weigh the advantages and disadvantages before determining whether or not installing security cameras in your Allen rental home is the smart financial move. The good news is that you can get the help of the people at Real Property Management One Source. We provide the experience and information that is needed to make an informed decision, assuring that each rental home includes the features your renters need while making sure the costs stay low. If you want to know more about what we can do to serve you, don’t hesitate to contact us online or call us at 214-721-0727.